Time to trot out the turkeys! Gobble, gobble, gobble! 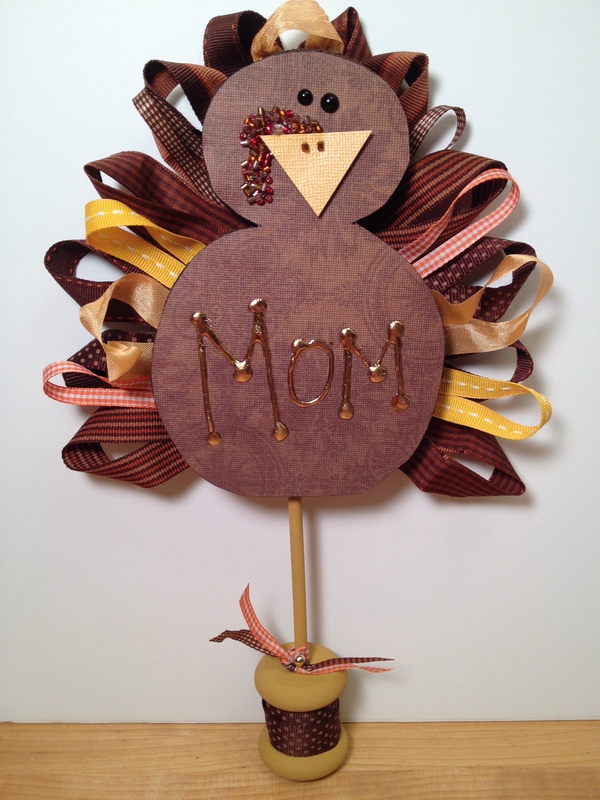 Give your wattles a shake and get ready for Thanksgiving decorating with these turkey craft projects. Every family gathering needs some crafty little Toms for the centerpiece, a hostess gift, place card holders or a sign of gratitude. 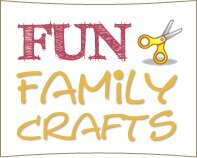 These Thanksgiving arts and crafts projects use some very creative ideas for the turkey feathers, from ribbons to Popsicle sticks to coffee filters. Have fun! Thanksgiving is a time to spend with family and friends. My niece, nephew and I have created a tradition of making DIY Thanksgiving place cards for the table. We try to be as creative as possible each year, but we always seem to come back to the traditional turkey. These lightweight Smoothfoam foam turkey place cards incorporate sparkle and shine as well as cute ribbon loop feathers – making me extremely thankful for my craftiness! 1. Draw a “figure 8” style head and body on plain paper, cut it out and then trace the shape on to the Smoothfoam sheet. Cut out the shape with a serrated knife and gently sand smooth any rough edges. Paint the edges Dark Chocolate and let dry. Paint the spool and dowel Antique Gold and let dry. Glue the dowel into the center of the spool. 2. Trace the turkey shape twice on the wrong side of brown paper. Adhere one shape to one side of the Smoothfoam with an adhesive sheet. Reserve the other paper turkey shape for later. Cut a triangle from yellow paper for a beak and adhere to the turkey with clear adhesive pads for dimension. Add the black half pearls for eyes. Apply some 3D glue to the side of beak in a waddle shape and immediately cover it with red beads and let dry. Place two small dots of glue to the top of the beak for two small brown beads. 3. Draw one of your guest’s names on the turkey with glue and set aside to dry until clear. Apply gold foil to the glue lines by placing the dull side against the glue and rubbing gently with your finger. Lift and peel off the foil liner, leaving the shiny foil adhered to the name. 4. Trace turkey on the release liner paper of the double-sided adhesive sheet, cut it out and apply to the back of the turkey. Peel back the liner to expose adhesive. 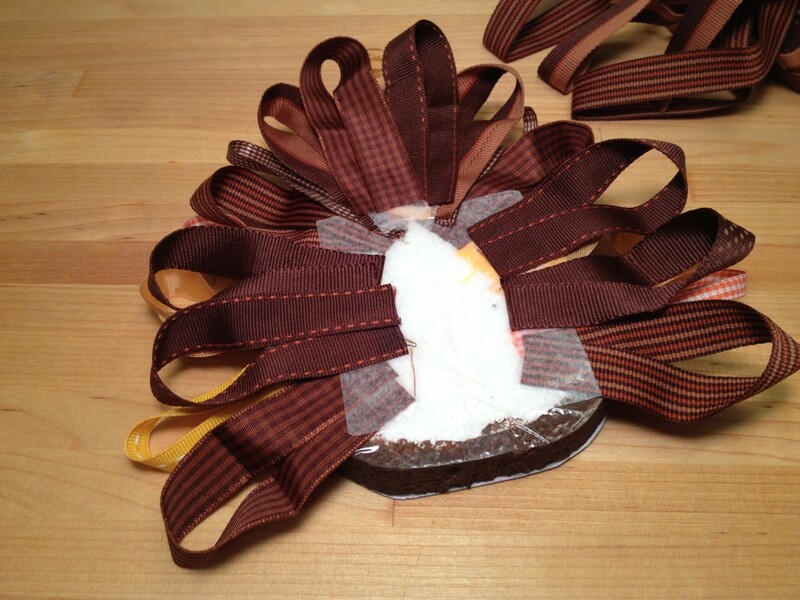 Fold ribbons in to loops and press on to the adhesive around edge of the turkey’s body. Adhere the second brown paper turkey shape on top with another adhesive sheet, covering the ends of ribbons. 5. Insert dowel into the center of the Smoothfoam turkey at the bottom to create a pilot hole. Remove the dowel and add a little glue to the dowel and reinsert; let dry. Tie two ribbons around the base of the dowel and wrap the spool with brown ribbon, securing the ends with scraps of double-sided adhesive. 1. Trim away a piece of the large ball (body) on both ends and on one end of the small ball (head). 2. Wrap the large ball with a 6” burlap circle, bringing the ends up to one flat side. Trim away extra fabric. 3. Glue the flat side of the small ball to the trimmed flat side of body. Glue the 5” circle over the small ball, gathering fabric around the neck and leaving a ruffle. Trim and fringe the ruffle and tie twine around the neck. 4. Gather the strip of burlap by pulling on a thread ½” from one long edge. Glue this strip to the back of the body for the tail and fringe the edge. 5. Cut off the ends of wood snack spoons and paint with a wash of Milk Chocolate. Paint all the other wood pieces with a wash of orange. 6. Glue spoon pieces under the ruffle for wings. Trim one end of a toothpick and glue on a pony bead and a wood heart for the feet. Poke the leg into the body to make a pilot hole and remove, then glue another pony bead over the hole. Glue the toothpick into the pony bead and repeat for the second leg. Trim a small teardrop from the wood scraps cut away from the spoons and glue to the head for a beak. Glue red threads over the beak and glue eyes above it. 7. Brush the edges of the burlap and wings with orange paint. 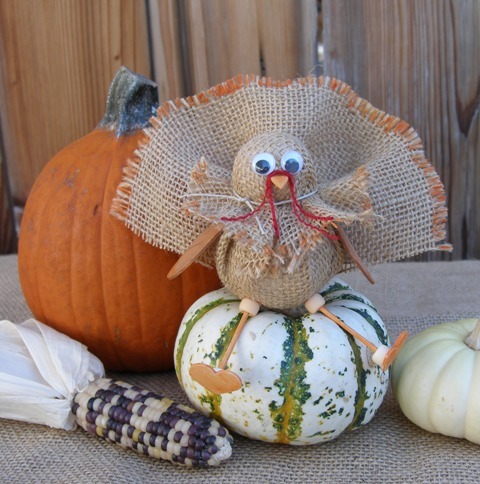 Let your burlap turkey decoration dry, then display on your table or mantelpiece. 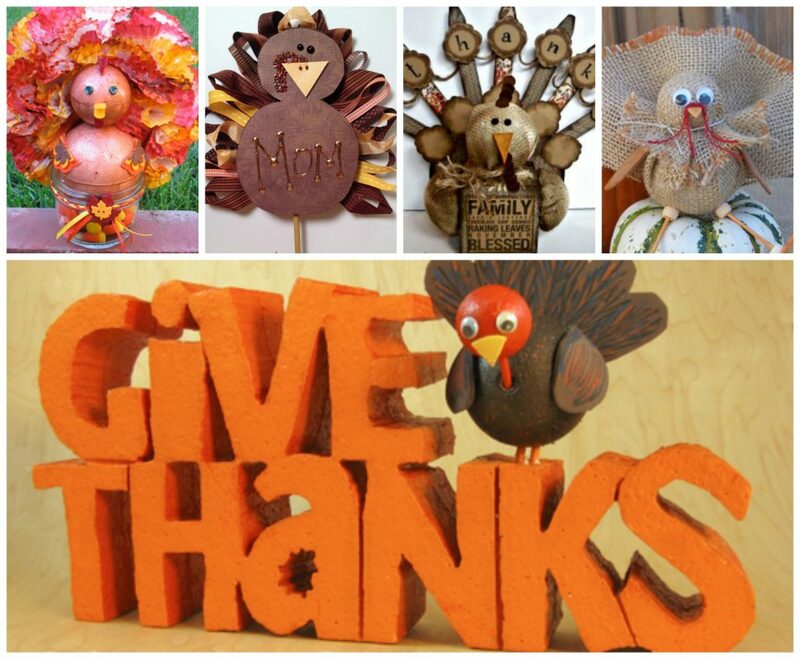 Find numerous cute Thanksgiving crafts here today. Sandpaper, paint brushes, bowl, wax paper, iron. 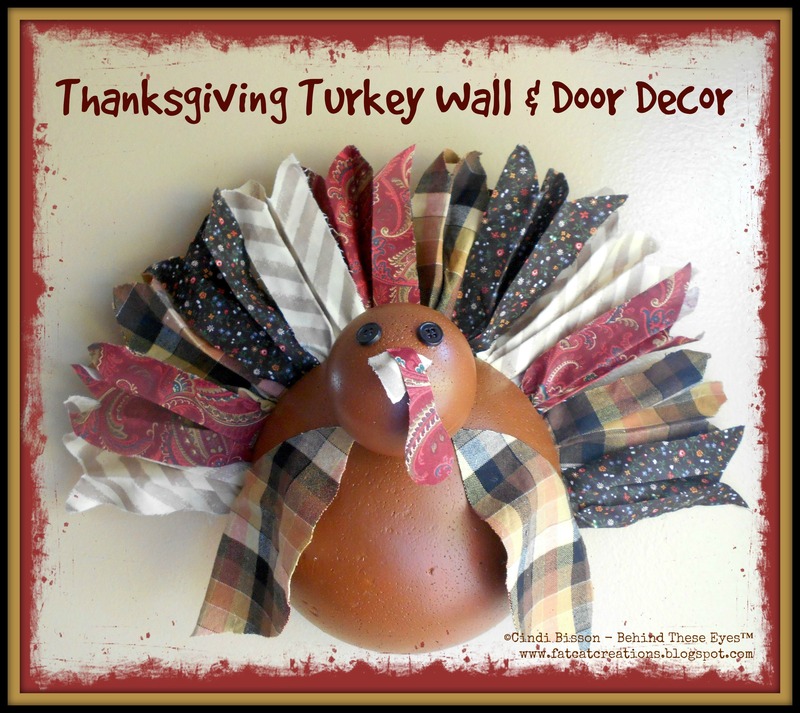 Our Thanksgiving turkey wall hanging is cute and festive. 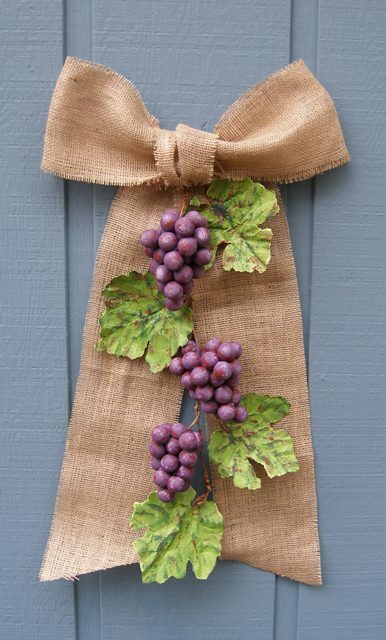 Learn how to make this DIY Thanksgiving wall decor below. 1. Lightly sand the seam on the 3” ball and the surface of the 8” half-ball to make smooth. 2. Paint the ball and the half ball with 2 coats of Brown Sugar; let dry. 3. Cut 12 rectangles of coordinating fabrics to 5-1/2” x 4-1/2”. Fold each piece accordion-style 4 times along the 5-1/2” edge. 4. Cut the top edge of each accordion at a slant to create dovetailed ends. 5. 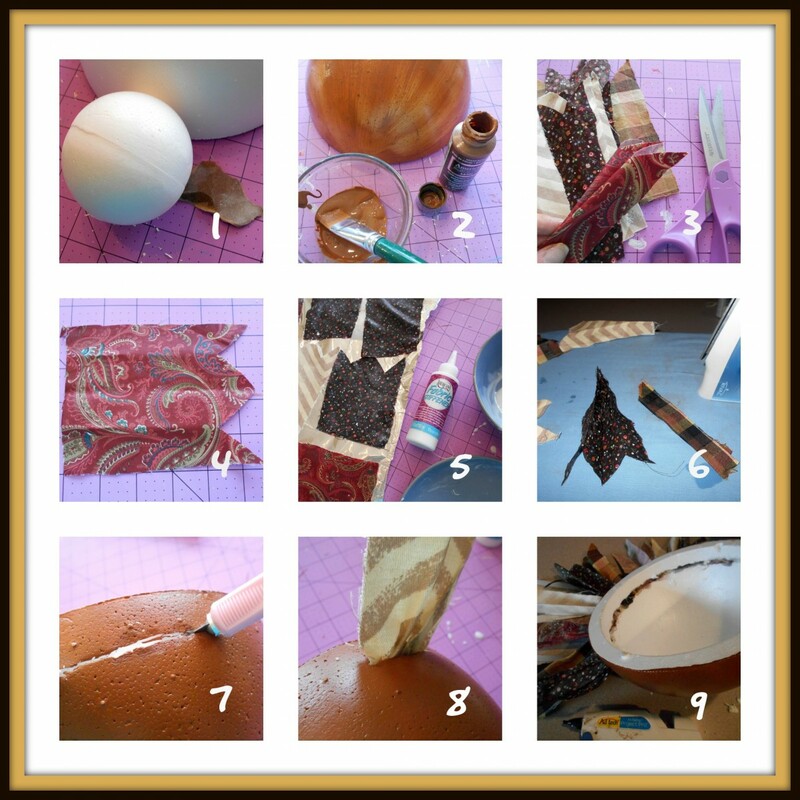 Pour fabric stiffener into a bowl and dunk each fabric piece in to thoroughly saturate. Place fabrics onto wax paper to dry. 6. When dry, re-fold each piece and iron to sharpen the creases, then fan out the folds. 7. Cut a long slit into the top of the half-ball, 1” in from the edge. 8. Carefully insert each piece of folded fabric into the slit and hot glue it in place from the inside. Fan out each fabric feather as needed once glued in place. 9. Repeat until all feathers are in place for tail. The fabric stiffener will make then stand up straight and allow you to unfold and bend as needed to create a full-feathered tail. 10. Slice a 1/2″ circle around the bottom of the 3″ ball. 11. 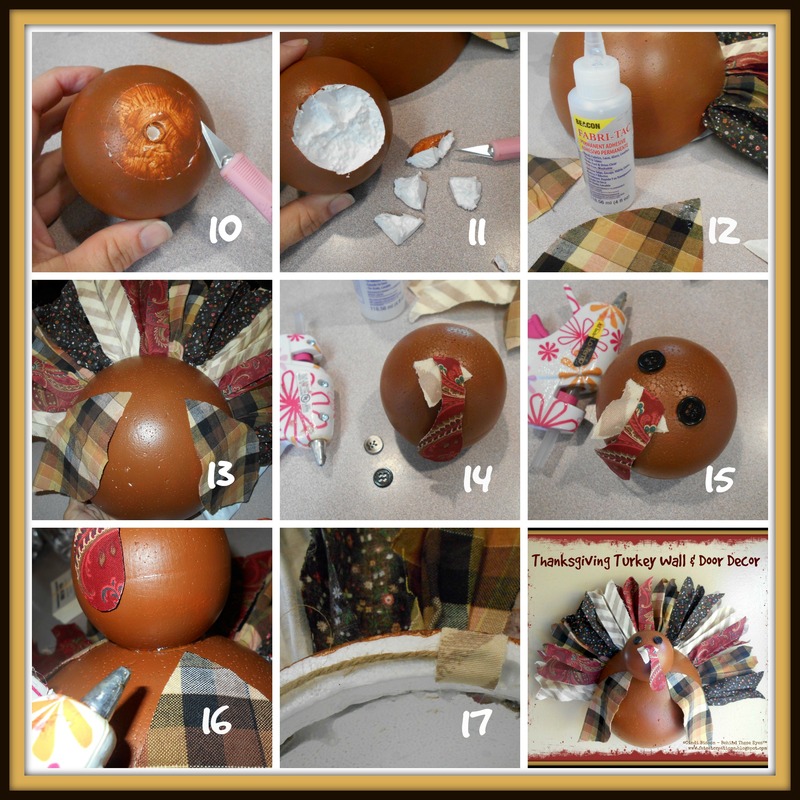 Remove the pieces so the ball (turkey’s head) has a flat edge to rest against the body. 12. Cut wing shapes from fabric. 13. Glue the top corner of each wing to the sides of bowl as shown. 14. Cut a beak and waddle from fabric. I cut two waddles and glued them back to back so the pattern would be the same on both sides. Glue in place on the head. 15. Hot glue two button eyes to the head. 16. Hot glue the head to the body. 17. Hot glue a piece of jute twine to the back of the body, along the top edge behind the feathers for hanging. 1. 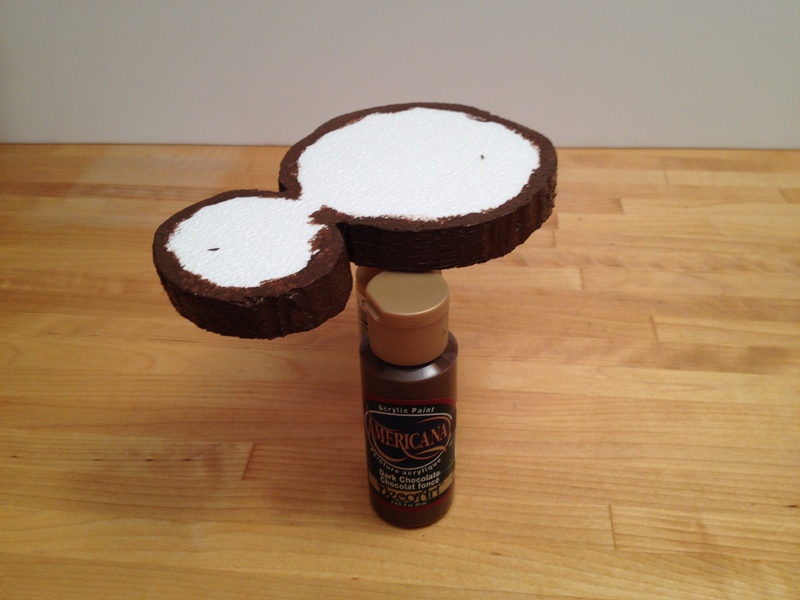 Cut off a half-circle approximately 3” x 4” from one side of the Smoothfoam half ball with the craft knife, and a half-circle at the opposite end, approximately 1” x 3”. 2. Paint the half-ball orange and let dry. 3. Follow the manufacturer’s instructions to dye the burlap in Tangerine. 4. Cut the burlap into 2” x 12” strips. Beginning on the edge with the 1” x 3” cut, glue burlap strips over the curved edge of half-ball, extending out over the top . Do not glue the burlap to the top of the ball – let it extend off. 5. Continue gluing strips of orange burlap, overlapping each other, until surface of ball is covered. 6. 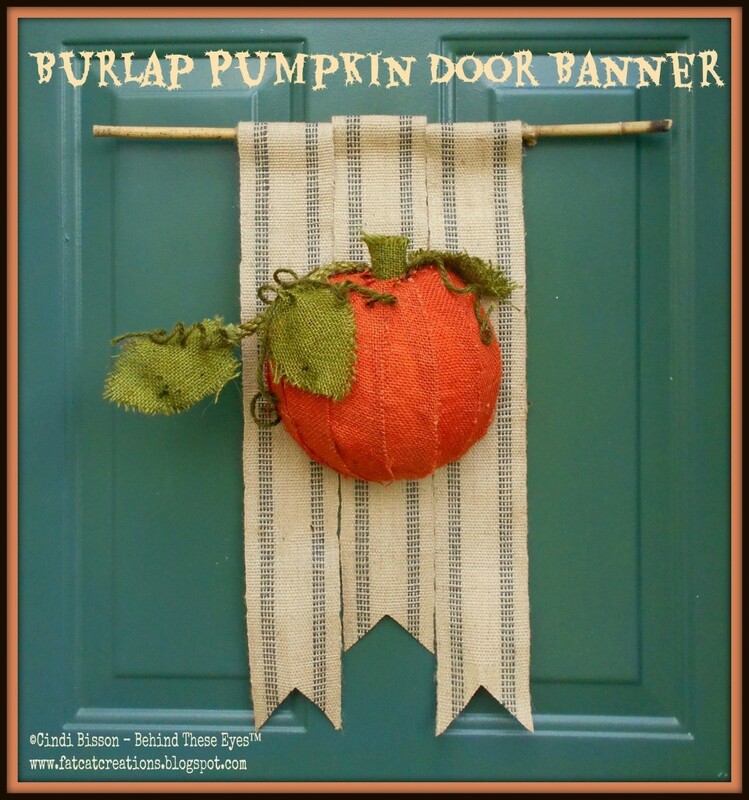 Cut a 4″ x 6″piece of burlap and loosely roll it to create a stem for the pumpkin, about 1” in diameter. Cut three 3” x 4” leaves from burlap. Follow the manufacturer’s instructions to dye the leaves, stem, a 10” piece of jute rope, and jute twine in Apple Green. 7. Center and glue the stem to the top of the pumpkin, to the extended burlap pieces. The orange burlap will hold the stem in place – it is not glue to the ball. 8. 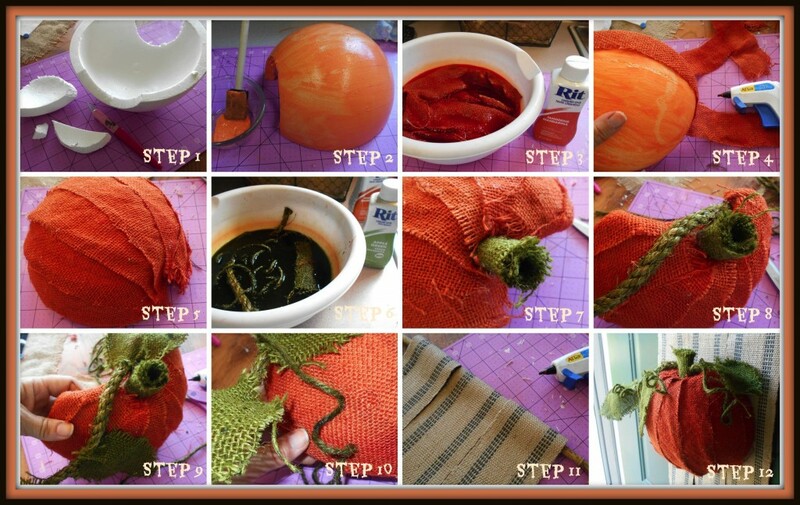 Glue the jute rope vine to the top of the pumpkin, extending from stem. 9. Glue the leaves to the vine – one at the end, one at the stem and one in the center of vine. 10. Add the dyed jute twine coils to vine, gluing to the pumpkin as needed to create small dimensional curls. 11. Cut 3 strips of burlap ribbon 20” long. Fold over an inch at the top edges of each and glue to create a loop. Slide the ribbons on to the bamboo stick. Cut the center ribbon 2” shorter than the left and right ribbons. Trim dovetail ends on each ribbon. Tie a length of jute twine on the stick ends to hang. 12. Center and glue the pumpkin to ribbons. 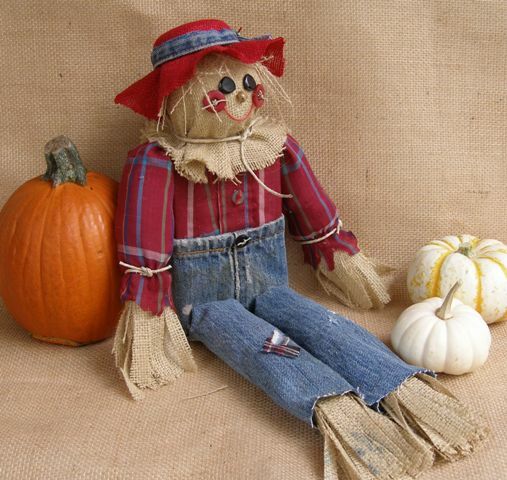 Upcycle some of your old clothing to create a cute scarecrow. He’ll look great among your fall decorations! 1. 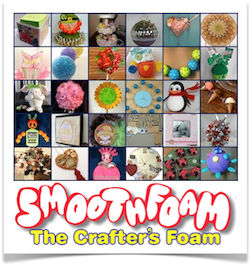 Cut the Smoothfoam block in half with craft knife. Save half for another project. Press the edges on your work surface to round them off. 2. For his shirt, wrap the top of the block with the plaid strip, overlapping the edges. Fold down the top edges (gift wrap style) and glue. Do the same with the denim strip on the bottom of the block for his pants. When cutting the pieces, place the facings, binding and edges to resemble the front of shirt and pants. 3. For his shirt sleeves, roll each plaid squares into a tube and glue the edges together, then stuff lightly with fiberfill. Fold down top and glue. Fringe the burlap strips, roll them up and glue to bottom of each arm. Glue each arm to the sides of the block. Make his legs in the same way. 4. Glue the Smoothfoam ball to top of his body. Wrap and glue the natural burlap circle to his head. Shred scraps of burlap and glue to top of his head for hair. Add buttons for facial features. Glue on red twine for his mouth, tucking the ends under buttons for cheeks. 5. Place the red burlap circle over a plastic cup and hold it down with a rubber band. Glue a scrap of denim around the brim over the rubber band. Remove the hat from the cup and glue it to his head. 6. Add buttons to his shirt, pants and hat. Tie twine around his neck and wrists. Glue patches to his pants. 1. Paint 3″ egg Burnt Umber. 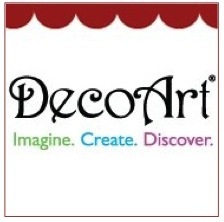 I only applied a single coat – paint does not have to be opaque, it just reduces the chance of white space showing through your pinecone “petals.” Let dry. 2. Use scissors to cut 1” x 1/2” wide petals, rounded on one end, from brown burlap. 3: Glue the petals on to the egg, starting on the wide end, overlapping petals alternately, all the way to the top. 4: Glue 3 final petals at the bottom of the egg with approximately 1/2” extending upward. Twist the ends together with a little glue to form a stem. 1. Cut a 2” square of natural burlap. 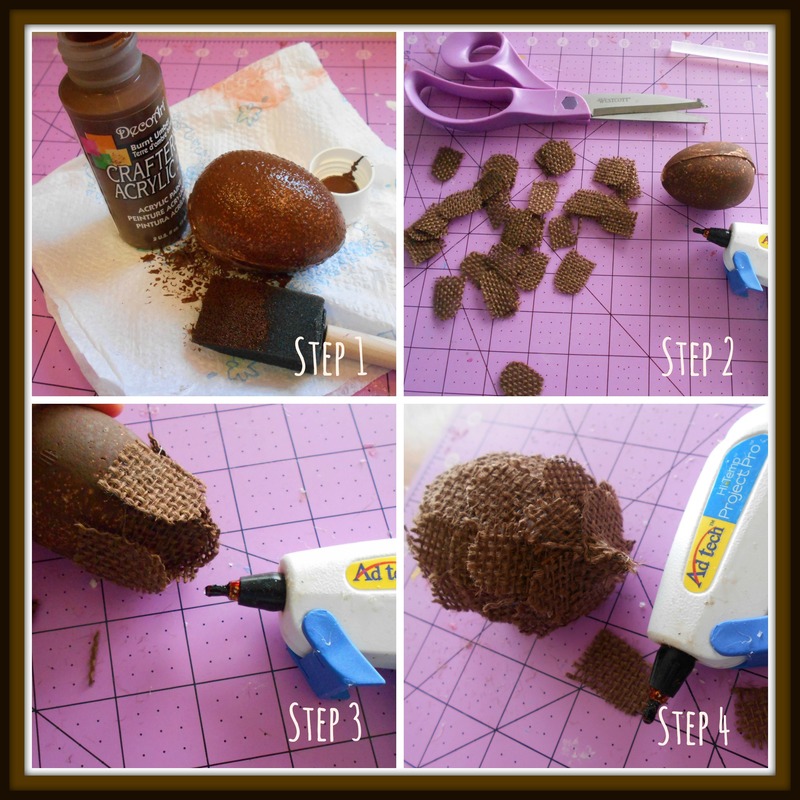 Glue the point of a 1″ egg to the center of the square. Bring the edges of the burlap up around egg and glue . Trim away excess burlap. 2: Cut 1/2” x 3” strip of brown burlap. 3. Glue one edge of the strip around the top of the natural burlap on the egg, leaving an opening at the top. 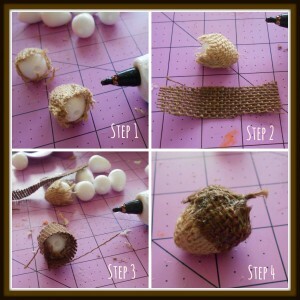 4: Fold the top of the burlap inward with glue and twist together to form the acorn cap. When the glue cools, remove any excess hot glue threads. 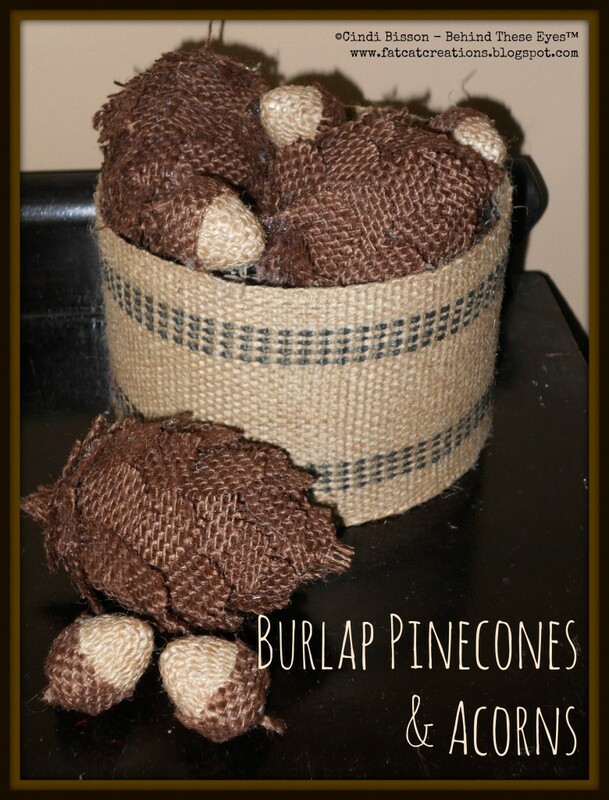 Click here for instructions on making the decorative burlap bowl to display your burlap pinecones and acorns. 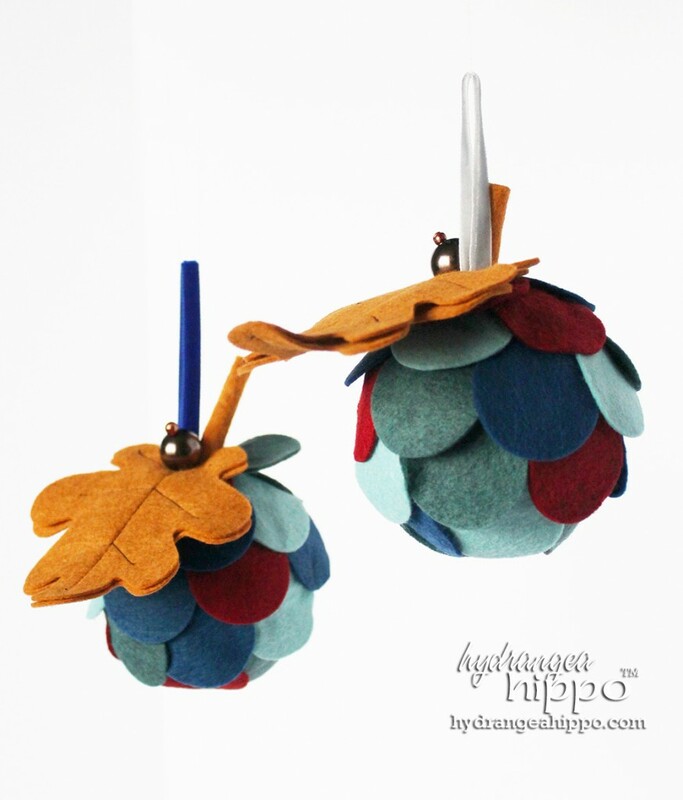 I recently made these cute and colorful acorn ornaments with wool felt die-cuts and 3″ Smoothfoam balls. Click here for the supply list and you can watch my video tutorial below. I love how these acorn ornaments can go from my autumn décor to the Thanksgiving table and then right to the Christmas tree – they’re multi-seasonal!